Description: Okra is a heat loving plant that produces large, attractive, yellow flowers. Plant Okra after the danger of frost has passed when the soil temperature has warmed to 62 degrees (usually around mid to late April). Okra planted too late in the spring may remain vegetative until late summer or early fall. Prior to planting, apply 3-4 pounds per 100 feet of row of a complete fertilizer such as 10-20-10. Okra matures in 48-60 days. Harvest pods when they are 2-4″ long. Pick pods every other day. When the stem is difficult to cut, the pod is too old to use. 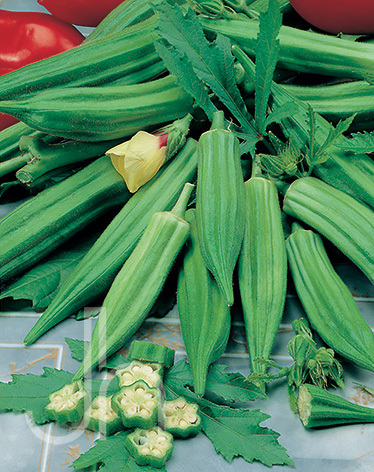 Click here to buy Clemson Spineless Okra direct from www.buygardenvegetables.com.